During the course of the last year, I received a large number of responses from students entering CheapScholar’s How Do YOU Make College Cheaper? Scholarship Giveaway. Some students tweeted their answers, others posted them on Facebook, and many more sent me their strategies to making college cheaper via email. In an effort to to share their wisdom with others, I am starting a new series on CheapScholar.org called 1001 Ways To Make College Cheaper. 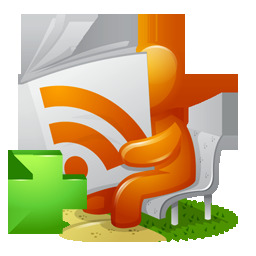 Each week I will compile entries received from readers and post them here on CheapScholar.org. The following represent some of the responses I have received via Twitter. Enjoy! 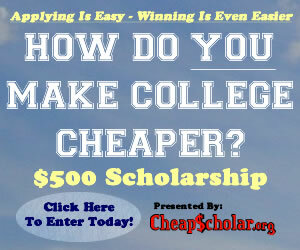 @CheapScholar If one wants college cheaper, one must apply to all scholarships. One must also start saving up all of their money early. @CheapScholar To make college cheaper I would put on my clogging shoes and dance for tips. @cheapscholar There are many ways you could make college cheaper, however the best way is to go through high school making good grades. @CheapScholar In order to make college cheaper, become academically qualified, involved in sports, and apply for a lot of scholarships. @CheapScholar I make college cheaper by renting or shopping around for my textbooks. @CheapScholar HOW DO YOU MAKE COLLEGE CHEAPER? Don’t start a family until you have that degree!! @cheapscholar I plan on going nudist as to reduce the need to do laundry. @CheapScholar I make college cheaper by taking the best of what I’ve got, and remaining optimistic. Know how to fund your dreams. @CheapScholar I make College cheaper by using the student discounts & the resources at my school that help us w/certain things. @CheapScholar How do you make college cheaper?-I spend my money wisely.For instance, equally splitting the bill for groceries with roommates. Wow, saving on college by being a nudist would be great. 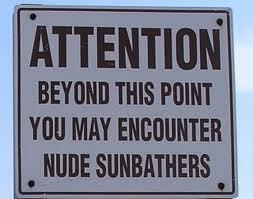 Nudism is becoming more mainstream.